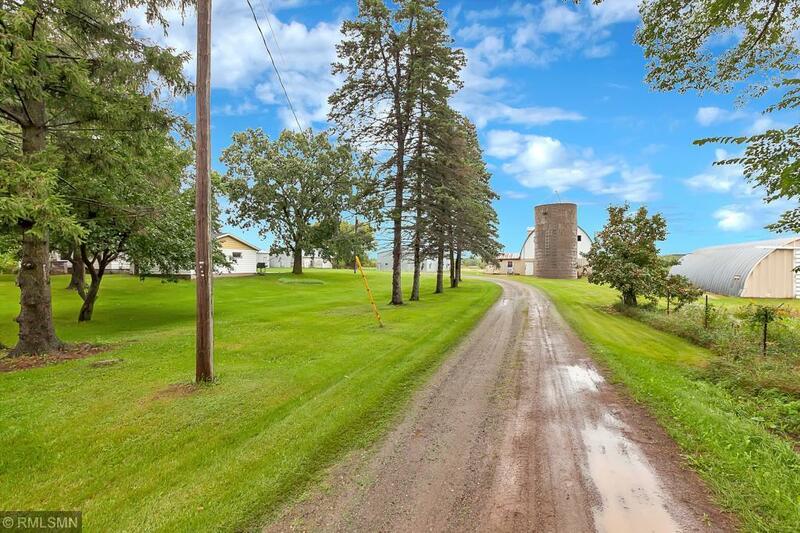 Opportunity awaits with this 41 Acre Hobby Farm! Home features Good Bones with original Hardwood Floors, Main Floor Full Bath, Main Floor Bedroom and 2 Upper Bedrooms! Full Basement and Newer Furnace. 40 x 72 Machine Shed, 32 x 70 Dairy Barn, 2 Grain Bins. Great Setting tucked far off the road!